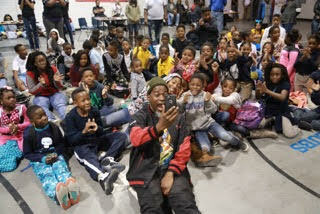 On Friday, December 18, 2015 Grammy Award winning music producer, rapper, actor and community activist David Banner and The Banner Foundation, an organization dedicated to empowering and supporting families to create self-sufficient communities, celebrated the ninth annual Heal The Hood At Christmas Project in his hometown of Jackson, MS. Collaborating with local community partners, the program identifies special needs for attending families as well as encourages education, leadership, advocacy, civic engagement and accountability amongst the areas. The initiative evolved out of Banner’s personal ritual of giving to less fortunate families and those impacted by Hurricane Katrina during the holiday season. The day kicked off with David Banner as the featured speaker at the Re-engaging in Education for All to Progress (R.E.A.P.) Program, which provides academic opportunities to the over-age, non-traditional, at risk of dropping out student, to help them attain a high school diploma. Banner also sat with the young men and women (ages 10-17) at the Henley Young Juvenile Justice Center. 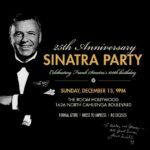 Previous Post Frank Sinatra 100 Birthday Celebrations this Weekend!